When it comes to eating habits, I would definitely be classified as a "snacker" since I rarely make it between meals without needing something to tie me over. I frequently have snacks stashed in my purse and I have a fully stocked snack drawer at work. I know that might sound a little crazy, but I have found if I stock up on healthy snacks, it helps me avoid grabbing an unhealthy alternative when I can't get away from my desk at lunch or if I get stuck working late. 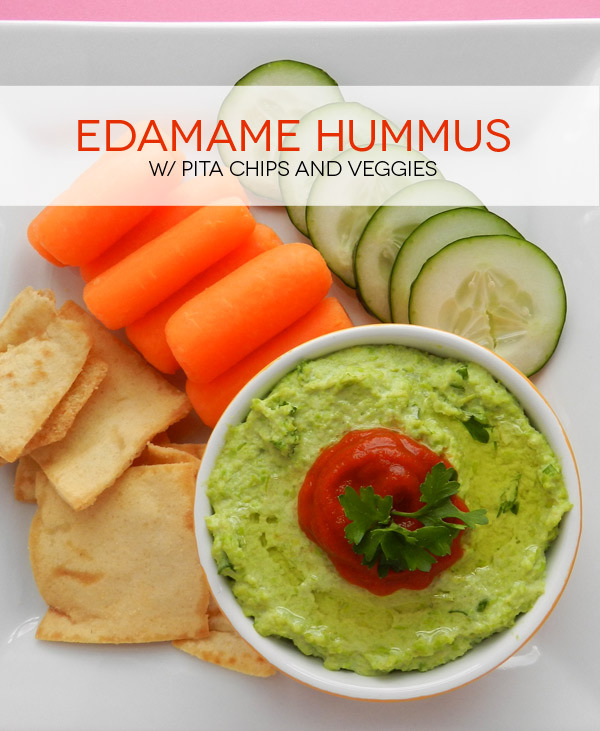 Lately I've been on a huge hummus kick, so I thought I would try making this edamame version for something new. With only a few ingredients, this recipe is really easy and the results are much better than any store bought version I've tried. 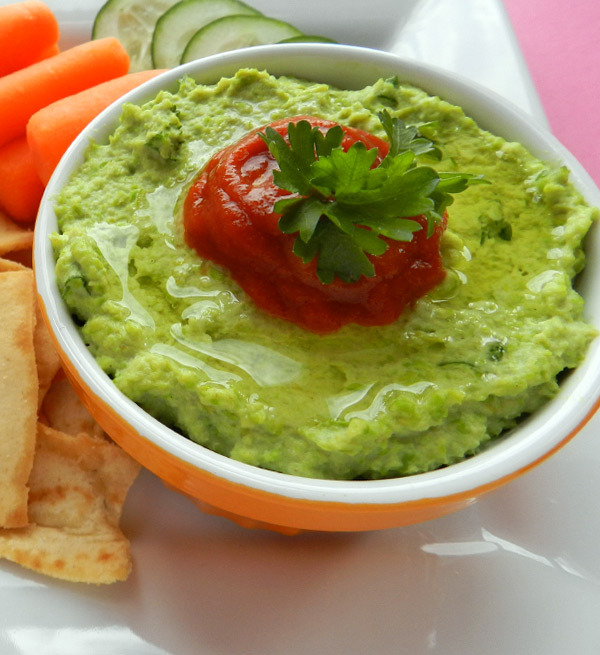 For a little kick, I highly recommend garnishing this dip with sriracha. Not only does it taste amazing, but it dresses it up for entertaining too!